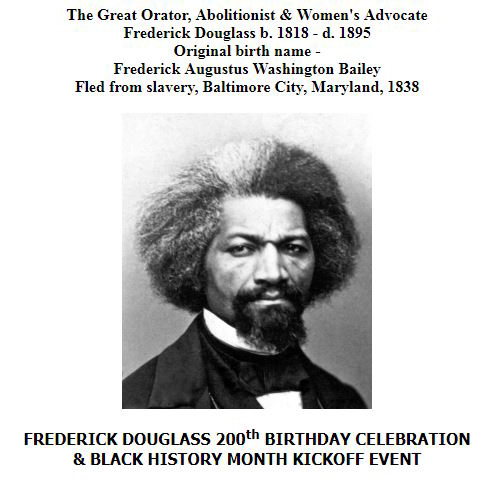 Mayor Catherine E. Pugh kicks off Black History Month honoring the 200th birthday of Frederick Douglass, an iconic figure in American and Baltimore history. Dunbar Jazz Band, Cake Cutting. Photo ID required.